A classic Speyside single malt, matured in a combination of oak ex-bourbon casks and ex-sherry butts for a minimum of 10 years. Welcoming, vibrant and rewarding. 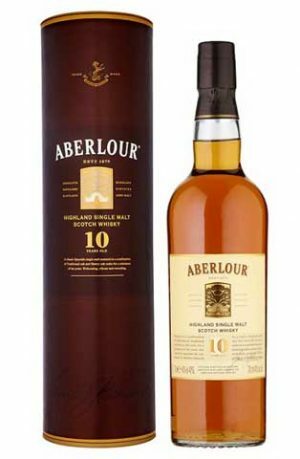 Aberlour 10 year old was the distillery's flagship single malt but is now extremely difficult to find. 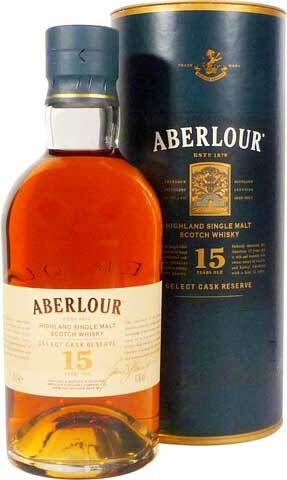 "a lovely soft, gentle dram that is an excellent and affordable example of a sherry cask matured whisky". 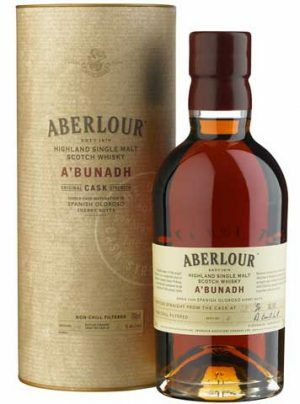 "The finish is long, starting sweetly before turning dry, nutty and refreshingly woody and spicy"
As with most Aberlour whisky, this 12 Year Old single malt has been matured in two types of cask. This double matured version is a mix of traditional oak and sherry casks and is rich and fruity with delicious Christmas cake notes. 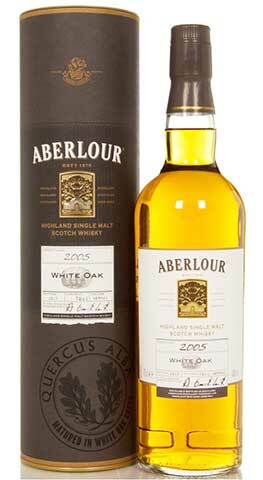 Aberlour White Oak is a special edition exclusively matured in American White Oak (Quercus Alba), a type of wood known for imparting lots of soft notes of vanilla and coconut. 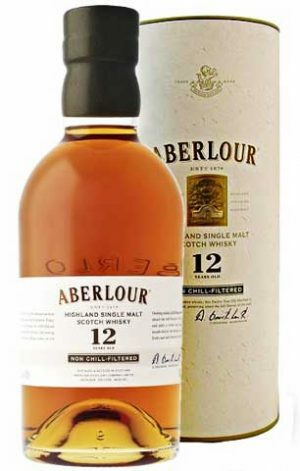 Aberlour has released a different version of their 12 year old double cask by making it more of a craft presentation, increasing the abv to 48%, altering the different cask proportions slightly and making it non-chill filtered so it holds on to more of its original flavoring profiles, giving the mouth feel increased body, and a rich texture. 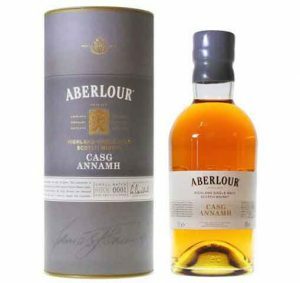 An exciting new release from Aberlour, Casg Annamh means ‘rare cask’ in Gaelic. Matured in three types of hand selected casks, European oak sherry casks and two types of American oak casks resulting in a rich and intense whisky. "sweet and fruity flavours of apple and cinnamon crumble, and ripe peaches, balanced with spicy notes of liquorice and cloves"
Only the very best casks have been selected for this 18 yr old, ensuring a whisky of unsurpassed richness. 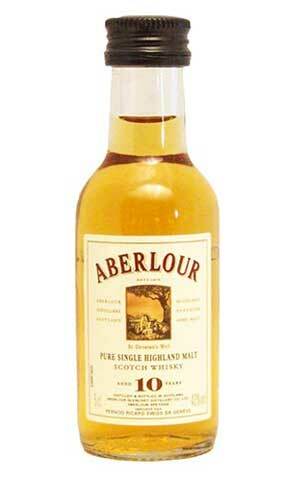 It is by far the most indulgent Aberlour expression. 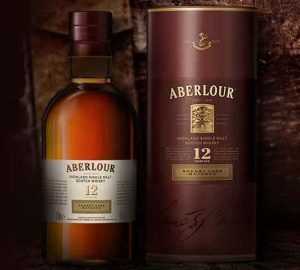 A whisky of perfect structure, the ultimate expression of Aberlour. 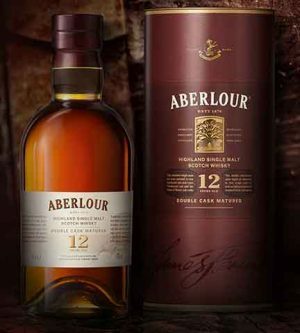 A unique expression within the Aberlour range, aged in fresh Oloroso Sherry butts, some of the most precious and expensive in use for maturing single malts. 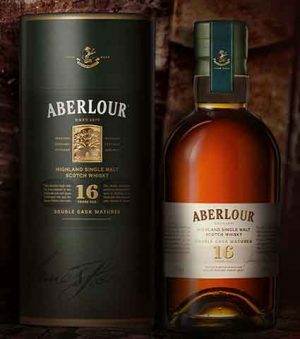 Every year, the Aberlour Master Distiller travels to southern Spain and hand-picks the finest casks to bring back. 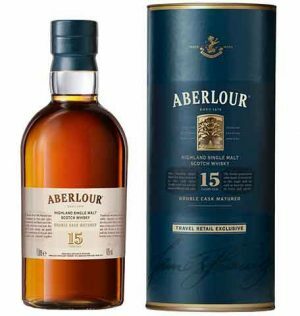 "A deeply sherried dram, full of flavour"
Aberlour 15 is matured first in a mix of Bourbon and Sherry casks for 14 years, then finished in selected Sherry casks for a further 12 months. 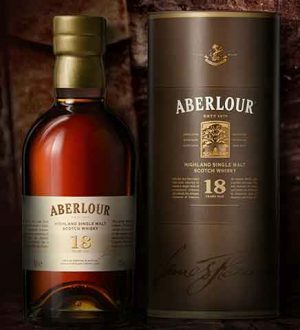 "A wonderful, velvety texture that's rounded and thick"
This Aberlour 15 year old has been matured in both bourbon and sherry casks for 14 years and then aged for a further year in specially selected Spanish Oloroso casks to achieve a unique finish.